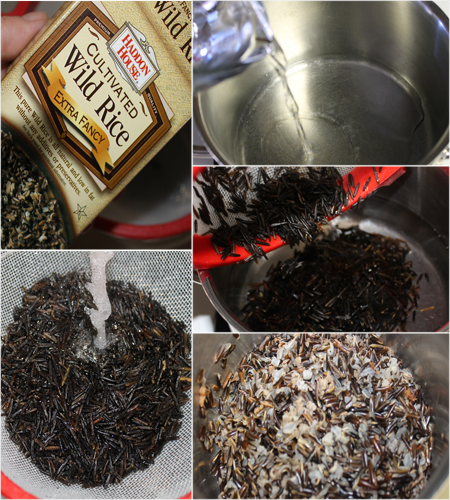 Simmer the wild rice in water in a saucepan, covered, over medium heat until grains are tender and start to split open, about 45 minutes. Remove rice from heat and drain any excess liquid. Simmer the chicken breast in water with 1 tbsp of chicken base, till done. Shred the chicken. Cook bacon in a large pot over medium heat until crisp; reserve drippings. Drain bacon on a paper-towel-lined plate. 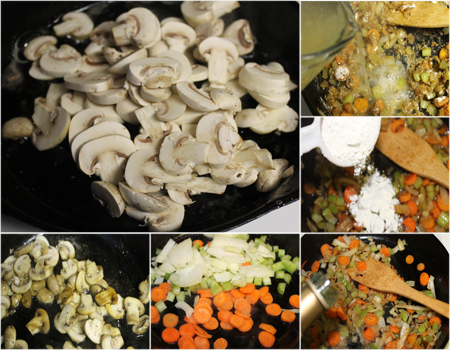 Add mushrooms to the bacon drippings; saute over medium-high heat until soft, 5 minutes. Reduce heat to low and add onion, carrot, and celery. Cook until onion is translucent, about 5 minutes. Stir in flour and cook 1 minute.Add the sherry, scraping up any browned bits. Stir in broth. 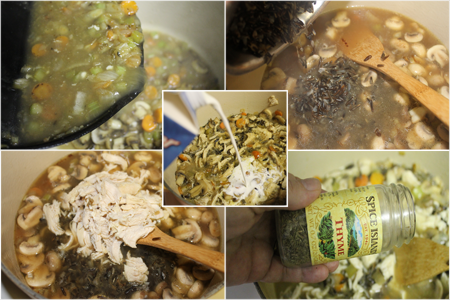 Put all in a large pot add the cooked wild rice, chicken, and thyme. Bring soup to a boil, reduce heat to medium-low, and simmer 10 minutes. 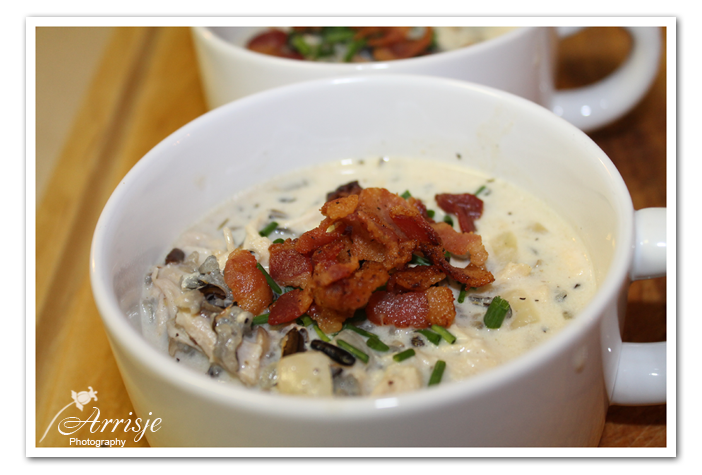 Add milk, cream,and bacon; season with salt and pepper. Gently simmer soup, without allowing it to boil, until heated through. That really looks . I might try it without the chicken or carrots.